As a serious devotee of cinema one of the things I get a bit of clack for is my love for romantic movies- particularly romcoms. I am an unabashed fan. I even recently started a new podcast with my friend Amber where we review the Hallmark Movies which are pretty much all romances (we are having an absolute blast by the way). It’s a new channel so if you are interested we could use new subscribers! Anyway in honor of the podcast I thought I would share with you some romantic films that I enjoy, which are often hated on (hate may be too strong of a word but you get the idea). Everyone knows I especially love a good romantic Christmas movie and Last Holiday definitely fits the bill. Queen Latifah is warm and lovely as a woman named Georgia who finds out she has a month to live, so she decides to start living her dreams. This includes staying at a fancy hotel in Europe, eating good food instead of Lean Cuisine and buying the prettiest party dress. LL Cool J plays her co-worker who is impressed with both versions of Georgia and they have terrific chemistry. I honestly might like this film even better than Moulin Rouge. I enjoy Baz Luhrmann’s creative take on Shakespeare. He obviously gives it is his own flair but the core story remains in tact. The production design is great and the Shakespeare manages to feel natural. Most importantly Claire Danes and Leonardo DiCaprio have fantastic chemsitry and the supporting cast including Brian Dennehy and John Leguizamo are great. In 2011 two films came out that dealt with casual relationships. I prefer No Strings Attached. This is directed by Ivan Reitman and it has his charm and engaging scripts. I find myself laughing out loud throughout the film. My favorite parts are when Adam is trying to impress Emma and he makes her a period cd full of songs like Bleeding Love. That always makes me laugh. It’s no secret that Ashton Kutcher is not the greatest actor but I honestly think he is fine in this and Natalie Portman has never looked sexier in a film. This is a fairly strong R rating but I like it. Mindy Kaling is fun as her roommate. Like Ashton Kutcher, Keanu Reeves is also not the greatest actor in the world especially when he is trying to be sincere; However, there is so much else going for A Walk in the Clouds that I can deal with his performance. Directed by Alfonso Arau this movie looks gorgeous with vineyard cinematography and intimate camera work. I love all the other performances including Aitana Sanchez-Gijonb and Giancarlo Giannini as Reeves’ pretend wife and her strict father. Is this movie loaded with contrivances? Sure but at its heart are 3 good people who I want to see happy. I will put up with so many contrivances if a romance can give me that. Plus, I love Topher Grace. He is perfect in this role and Kate Bosworth and Josh Duhamel are great too. Charming, charming, charming! I admit there may be a bit of nostalgia in this pick. This is a very sugary romance from 90s about a blind girl who becomes a horse diver despite the odds. 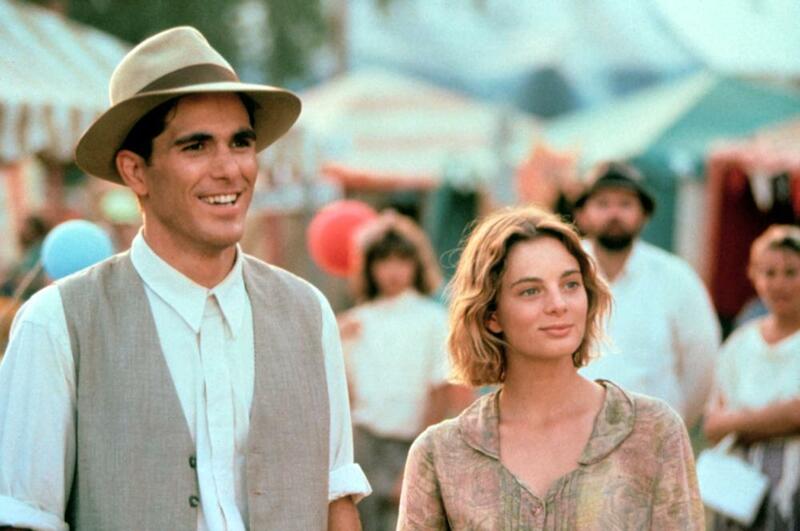 It’s cheesy but I love Gabrielle Anwar and Michael Schoeffling. She is stunning and they have great chemistry. It’s a breezy 88 minutes and I love it! I admit this one is a bit of a cheat as a lot of people like this movie but I feel like it is constantly overshadowed by Breakfast Club and 16 Candles and I like this better than both those films. It is fairly predictable story but underneath that plot are 3 very well written and acted characters. 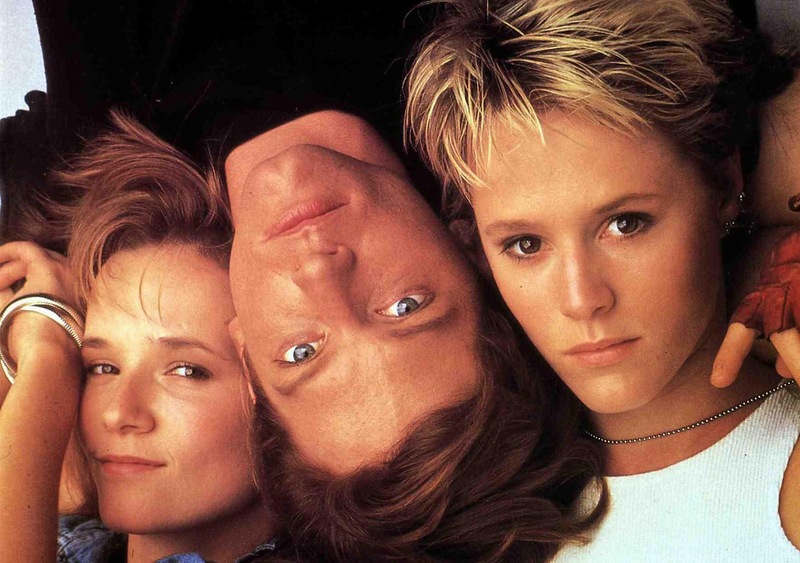 I particularly like Lea Thompson’s Amanda who should be the cliched judgy popular girl but she’s not. She has a personality and makes interesting choices. The chemistry between Watts and Keith is so strong. I love it! The Rewrite was one of my favorite movies from 2014 and everyone I have shown it to has also liked it. It’s the kind of movie we never get any more but it’s really well executed. Hugh Grant is in top form as a screenwriter who is demoted to a teaching position in a small town. It has something to say about love, work, writing, movies, stories and more. The cast is tremendous with Allison Janney, JK Simmons, Marisa Tomei and more. It’s funny, thoughtful and sweet. This is probably my toughest sale of this post but I will try. Most Nicholas Sparks movies are awful because they are so emotionally manipulative usually killing off a major character just to make you cry. In The Longest Ride they don’t do that! They get close but then don’t do that. I liked Britt Robertson and Scott Eastman in this. They have great chemistry. I liked seeing them work out their differing career ambitions and I also liked the older couple played by Alan Alda, Jack Huston, and Oona Chaplin. I get why many don’t like it but I enjoyed it. Some romances soar on the chemistry of its stars. Such is the case with Serendipity. Kate Beckinsale and John Cusack are so great together and I like them both so much that I enjoy going on this silly ride with them. The whole cast is actually solid with Molly Shannon, Jeremy Piven, John Corbett, Eugene Levy and more. New York never looked better and it’s easy for me to get swept away in the romance. 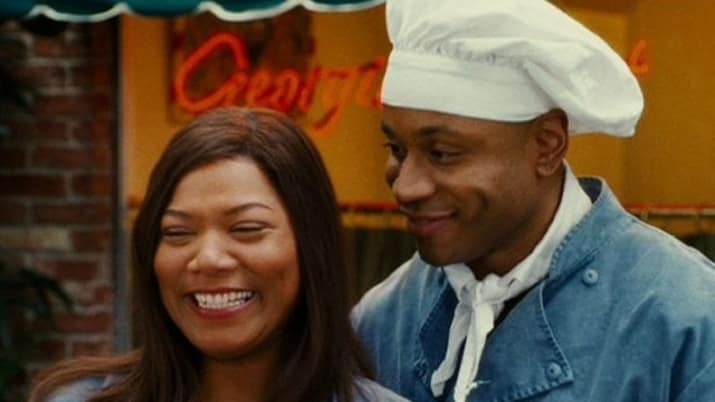 Another underseen romance from Queen Latifah on this list. She is beautiful in this film and is a nice contrast to the stunning but vapid Paula Patton (yet still likable in a kind of unlikable role). Latifah and Common have great chemistry and it’s another romance where we like both of them and want to see them happy. The things that separate them are somewhat contrived but I was invested enough to not care. So there you have it- my list of romantic films which aren’t appreciated enough. What about you? What are some romances you like that most people don’t? I’d love to hear your list. Thanks! Hold up, people didn’t like that version of Romeo + Juliet? @_@ I really liked it. Well, people who are either not able to get into the language or have an issue with the take on Romeo and Juliet because it is not high brow enough for their taste don’t like it. So there is a movement on the net in which everyone insists how terrible it is just to be cool, but the movie was actually quite a success with the audience when it was released. I like it, too. I wish they would do more of Shakespear in this style. Aaaaages ago. The movie isn’t particularly memorable, I barely remember what happened in it. No Strings Attached is a bit too R-rated for me. I have a hard time defining what a “romantic film” should be. I feel it should be a film solely existing for its romance, hence although I love ‘Gone with the Wind’, I don’t consider it a romance film, since there’s so much more to the film besides the romance. 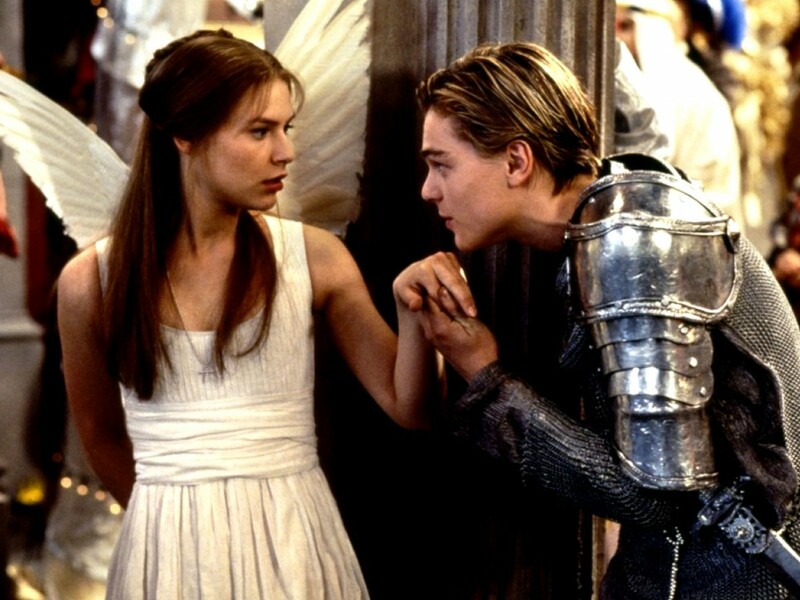 So going with my definition, the Baz Luhrmann film, ‘Romeo + Juliet’ is my fave romantic live-action film. I love how they keep the classic dialogue amidst the updated settings! And since it was a Disney movie, I saw ‘Wild Hearts Can’t Be Broken’ and reviewed it a couple weeks ago. It was ok, but I also don’t know if I would call it a romance film by my definition again.